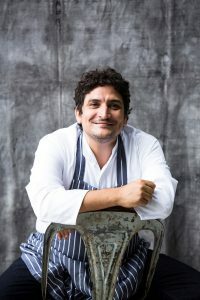 MGM COTAI today announced an exhilarating lineup of celebrated chefs and restaurants, including Mauro Colagreco, Mitsuharu Tsumura, Graham Elliott and Janice Wong, for its forthcoming resort set to open in the fourth quarter of 2017. Bringing some of the world’s most renowned and contemporary cuisines to locals and visitors in Macau, MGM COTAI aims to create memorable dining experiences and establish itself as Macau’s most innovative culinary destination. With a menu by star French-Argentinian Chef Colagreco, alongside premium beef sourced by MGM’s Master Butcher from the best ranchers around the world, Grill 58° is the go-to restaurant for exceptional steak and a destination for food and wine connoisseurs around the world. Beef is dry-aged in a custom-built Himalayan salt meat-aging room, served to guests’ preferred cut perfectly charred and cooked to their tastes. Grill 58° also offers a wide selection of fish, seafood and other meats, with an extensive wine and sake list ensuring all guests find something to complement their meals. For a unique experience, guests can book a table in the restaurant’s 4,000-bottle wine cellar, or liven things up at one of our teppanyaki counters. As the first authentic Nikkei restaurant in Macau, Aji is brought to life by one of the world’s most acclaimed Nikkei experts, Chef Tsumura. 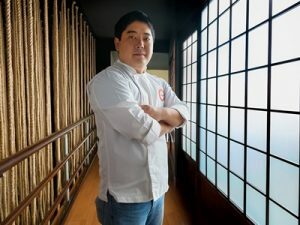 His restaurant, Maido, has raised from the No. 13 to No. 8 restaurant on the World’s 50 Best Restaurants list 2017. Aji, meaning ‘chili pepper’ in Peru, is a stunning contemporary Nikkei restaurant that packs an exquisite flavor punch. This one-of-a-kind concept is a destination for sophisticated gourmets, and reflects the fusion of cultures that has made Peru a global food capital. At Aji, innovative food is matched by dramatic design, where the dining room overlooks MGM COTAI’s incredible Spectacle display, and the ceviche and sushi counter gets guests up close with master chefs preparing the freshest seafood. Its pisco and sake bar mixes some of the best Peruvian-inspired cocktails outside of Lima. 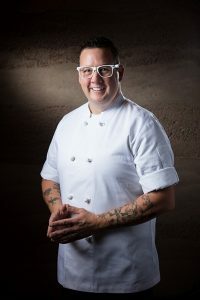 Taking inspiration from America’s relaxed West Coast lifestyle, Coast is overseen by Chef Elliot, an award-winning Michelin starred chef and television personality from popular cooking show Top Chef. Coast offers dishes that capture the spirit of California and neighboring West Coast flavors and brings them to Macau. Unpretentious with an air of excellence, Coast is a restaurant where family and friends can gather to share a wide selection dishes such as wood-fired pizza, fresh baked breads, salads, grills and other comforting delights for breakfast, lunch or dinner. Californian and New World wines, are available by the glass and bottle. Cozy booths and comfortable tables on tiered levels allow for easy conversation; the restaurant also features a chef’s table which can be used for private or public events, directly adjacent to the kitchen. The vision of Chef Wong, a native Singaporean who was voted Asia’s Best Pastry Chef for 2013 and 2014 at the prestigious San Pellegrino Asia Top 50, as well as Pastry Chef of the Year in 2011, 2013 and 2015 by World Gourmet Summit, Janice Wong MGM is a modern pastry shop, offering a full sweets experience from Cakes, Eclairs, Mochis, Tarts, Ice Cream, Crepes, Chocolates and Confectioneries to Plated Desserts. Janice Wong MGM is a sweets shop where customers can observe a live chocolate, crepe and dessert station, take out confectioneries and pastries or dine in for a sweet dessert experience beside one of the biggest chocolate fountains in the world – a 7.3-meter high sculpture spouting rivers of dark, milk and white chocolate. Chef Wong says, “Your world is your imagination. I am driven by a continuous pursuit of perfection and reflecting an appreciation for imperfection in my craft. This new pastry concept I have created is the epitome of the pastry dream where one can smell, taste and feel all things sweet. It is the modern day sweets wonderland marrying pastry and art together.